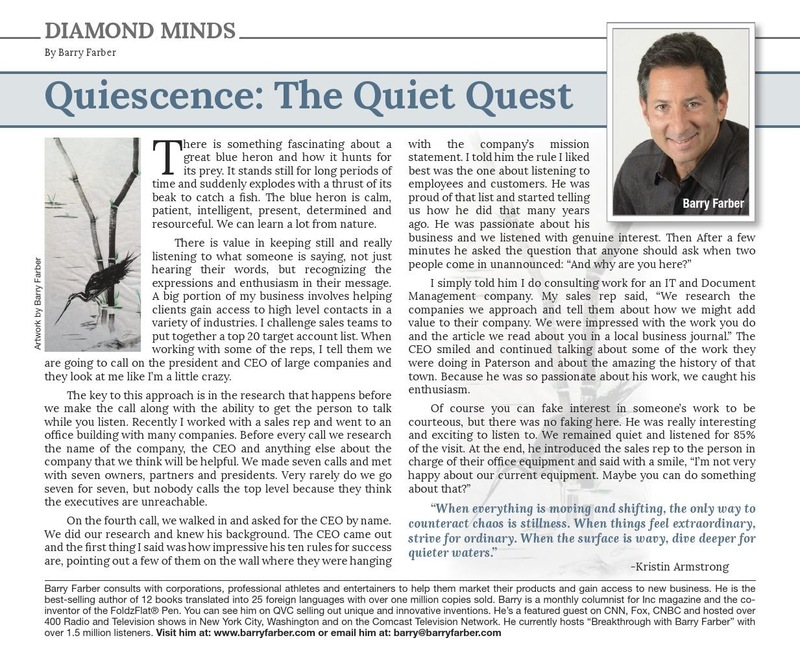 Each month you can read Barry’s sales advice column in Entrepreneur Magazine. Entrepreneur Magazine’s circulation is now over 540,000 with a total readership of 2.1 million. It is the best-selling small business monthly on the newsstand.